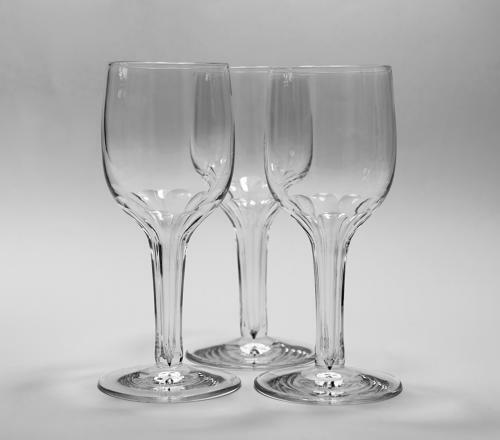 Set of six hollow stem wine glasses with slice cut decoration. English C1860. (Three showing).